Photo-Agency Fotcom - great sellection of excellent travel pictures from different parts of the world with plenty of my photos, developed by Mariusz Cieszewski from Poland. Izzet Karibar - Professional Photographer - website of the award winning Turkish professional photographer and a friend of mine. 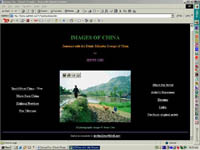 Photolinks - Excellent photographic Internet resource with hundreds of links. My Parents' Holidays in Asia 2001 - Photographic diary from my parents' and ours holidays in Thailand, China, Hong Kong and Macau in November 2001. Crazy Trails - Bilingual Polish-English travel site designed by Andrzej Sadowy from Calgary (Canada). Stock Photo Images - Nowitz.com is dedicated to providing stock photo images through our simple, easy-to-use website. We have been selling stock photo images and creating them for the past thirty years. The Travellers Home Bookshop - A decent second hand bookshop in Kowloon; sell and buy second hand English books/CDs/DVDs/; Internet and Tea served. Travel to Czech Republic! Hotels in Prague, Spa Hotels, Prague City Breaks, Travel Guide - Internet service for visitors to Czech Republic: hundreds of hotels, apartments, spa hotels and city breaks; Prague, Marienbad, Carlsbad, Brno, Pilsen; custom vacation planning, group travel, guide, photos and books. Secure online reservation system. 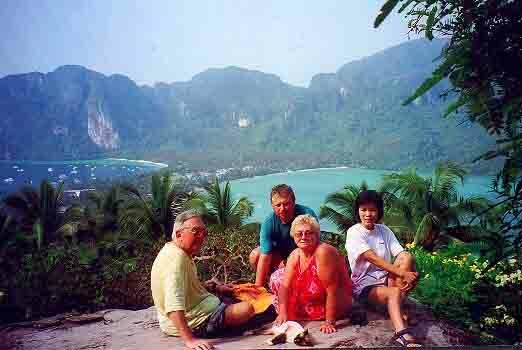 ThailandPage.com - comprehensive English language portal concerning all you want to do and know about Thailand. www.fishing-premier.com - River expeditions can be arranged that combine fishing, river rafting or canoeing and outdoor camping in the wilds. Photography School. Offers state-of-the-art training in professional photography by the New York 's Institute of Photography. Stock Photography Australia - Mark Ingram is an Australian Photographer, with a stock library covering many aspects of the Australian landscape. Classifieds - Sell your products or list your business service for FREE!